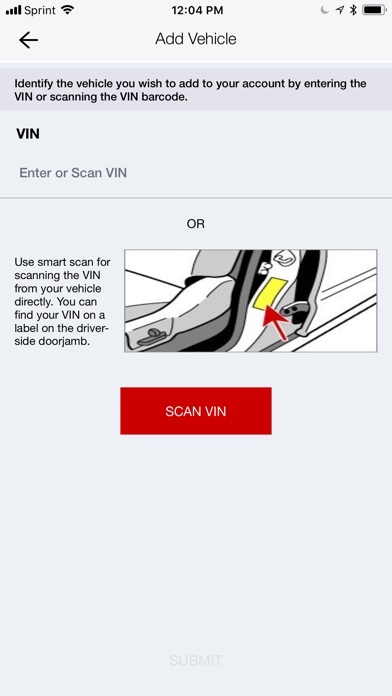 Toyota Remote Connect, available on select 2018 or newer vehicles, is an advanced vehicle app that enables you to connect and manage your Toyota from any distance+. 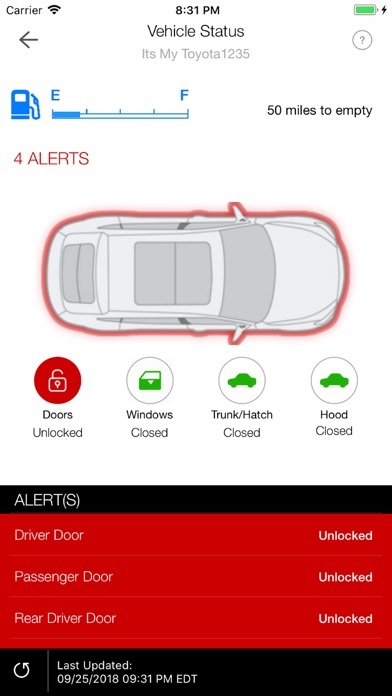 The app allows you to remotely lock/unlock your doors and start/stop the engine, find your parked vehicle, and set speed /distance alerts for guest drivers. Toyota Remote is optimized for your smartphone but not for tablets. With the introduction of Wear OS smartwatch support, you can now enjoy these remote features by touch or by voice command from your smartwatch+. FEATURES: - REMOTE DOOR LOCK & UNLOCK: Not sure if you remembered to lock your vehicle? 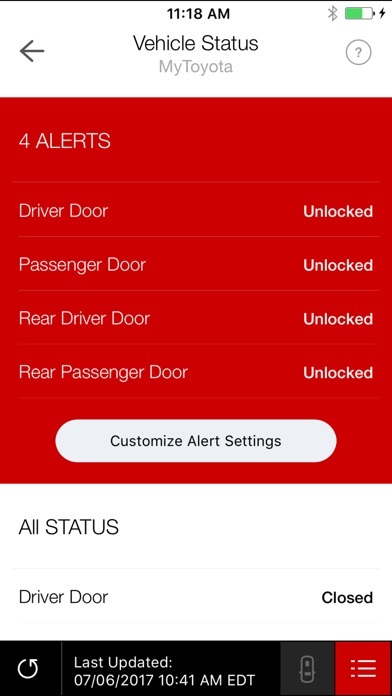 Now you can remotely lock and unlock your doors and receive confirmation if the action was successful. 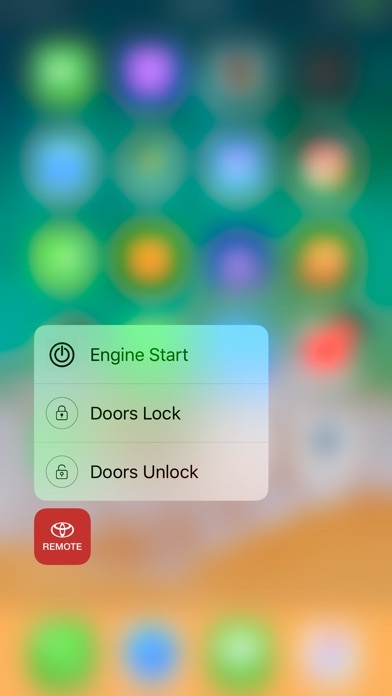 Should you accidentally unlock your Toyota remotely, the doors will automatically re-lock after 30 seconds if no further action is taken. 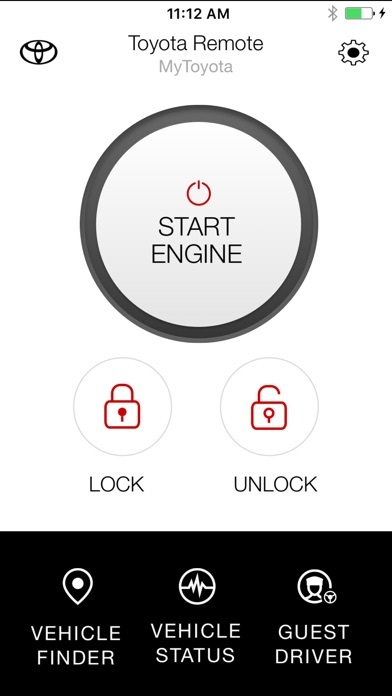 - REMOTE ENGINE START & STOP: Whether it's a cold morning or a hot afternoon, this feature lets you remotely start your vehicle to warm or cool the interior based on the last climate-control settings. The engine or hybrid system will run for up to 10 minutes or until any door is opened, the brakes are pressed, or the engine is turned off remotely.++ - PARKED VEHICLE FINDER: Locating your parked vehicle just got easier. 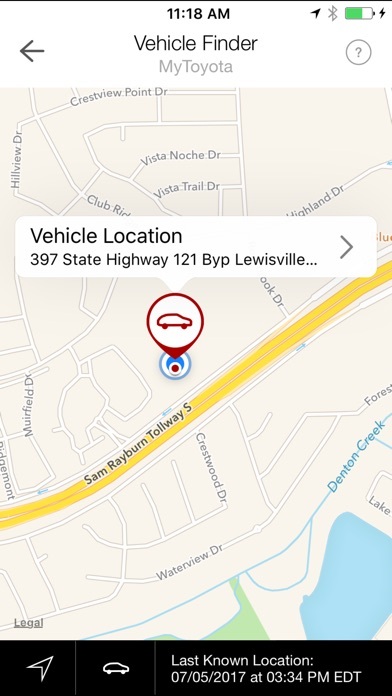 Vehicle Finder uses the map on your smartphone to guide you to your vehicle's last known parked location. - VEHICLE STATUS & ALERTS: With the touch of a button, you can remotely check the status of your vehicle's doors, windows, moonroof, trunk and hood, as well as the vehicle's current fuel level, odometer or trip mileage. 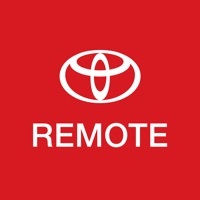 - GUEST DRIVER MONITOR: For added peace of mind Toyota Remote Connect can send instant alerts if your vehicle is started or exceeds preset limits on speed, curfew, miles driven, engine run time, total elapsed time or distance from a set location. 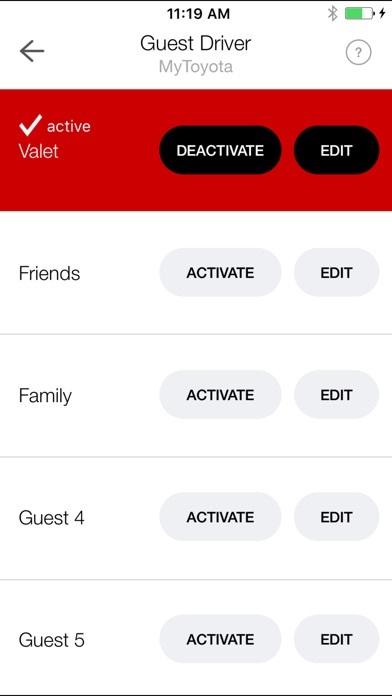 Guest Driver profile can be activated from smartphone only. PERMISSIONS EXPLAINED: - Device and App History: This is required as a security measure to display a pin when bringing the app from the foreground, or do send notifications via app or push. If you block this permission, then the app will not function. - Location: Used to show your phone’s location, relative to your vehicle, in Vehicle Finder. If you block this permission, your location will not show, but the vehicle location will continue to show in Vehicle Finder. - Phone, Wi-Fi Connection, Device ID, Call Information: In Settings > About, the app will display your OS, device model, carrier, connection type (wi-fi vs cellular) and IP address for support. No call information is retrieved, but this is a common permission to collect device information. None of this data is transmitted to Toyota. If you block this permission, the about page will remain blank, but the app will continue to function. - Other: this information is required for the app to function and provide feedback to you. If you block these permissions, the app will not function. + Your vehicle and smartphone must be able to establish cellular connections. Smartwatch must pair with the smartphone using Bluetooth. ++ PLEASE NOTE: If you are experiencing a low battery an in app message prompt will be displayed. See your Toyota Dealer or contact Toyota Customer Satisfaction at 1-800-331-4331 for more information. The M-F setting sends me notifications 7 days a week. I turned off this setting completely while my Camry is in the shop and I’m still getting notifications. I love being notified when the car isn’t locked or sunroof is still open. That part is great. Fix the simple things, standard in creating an app that provides notifications and this could be 4-5 star app. I bought a 2019 RAV4 XLE Premium, this app wont support this, seriously? Anyway to separate the panoramic glass roof top from fully open to tilt open? I would like to know if i left it tilt open or I left the whole thing open. I’m tentatively adding a star to my rating (going from 1 to 2) because reliability of the app has increased - I haven’t received an error in a couple of days. If reliability continues to stay where it is, I will probably come back and give the app 3 stars. I don’t think I could ever give it higher than that though because Toyota’s practice of only offering an official remote start as a subscription based item is pretty lame - even if you can start the car from anywhere. Had a free trial with my new Camry...was never able to get it to work. I’ve been driving for 40 years and for the first time I am leasing a Toyota and although I love my xse this app is absolutely the worst. It took me three days to get it to work after calling Toyota. Then I find out it takes a dreadfully long time to remote connect and today I noticed I’ve been getting “triggers alert” messages from my car on my iPhone for the past week telling me to access the app but I can’t access the app because it won’t connect. I suppose another call to Toyota is required and who has time for this? Won’t start the car, everything else works. I was very happy to find this app thinking it would make my life a while lot easier. But I tried to set it up and the app said it doesn't support my 2019 Highlander. Just hoping the app gets a update to support all the 2019 Toyota models. Most of the time this doesn’t work. When it does work, the car only runs for 10 min. That might be fine in warm climates, but not where it’s cold. AND, you can only remote start the vehicle 2 times! What’s that about????? I should be able to start it as many times as I want. Stupid app. Don’t even bother with it people. Certainly don’t pay for this option! Just go have an aftermarket remote start put on. Doesn’t work half the time. I keep getting error or won’t connect. I’m at the window close to my car too. Kia and Hyundai has better tech SMDH!! It’s 50/50 if the remote start will work. Very disappointing from Toyota. Will definitely not renew unless a major change is done! I am super pleased with this app!! So convenient. I ordered a remote start remote online, but I’ll be shipping that back soon for my $300!! Thanks for creating this. The program after a few days doesn’t seem to respond to my tap. I have had to delete it 3 times and it would work for a short period of time. I am wondering if there is a problem with your software and the Apple firmware. I own a new iPhone X S max purchased in February, along with the purchase of a new 2019 Toyota Camry LXE vehicle. Please help me with this problem. I am getting frustrated with deleting and re-downloading this program into my phone every time it won’t respond to my tap. I can check on my Camry anywhere in the world as long as I have WiFi or cell phone service?! Brilliant! Crap. Neither thw brand new 2018 Tacoma or Rav4 Hybrid were "compatible". All entune is absolute fail. I recently bought a 2019 Toyota Rav 4 Adventure “which I love!” The salesmen made sure to help me set up all my Apps before I left. I’ve never had the remote start before. So I really don’t have anything to compare it to. It works great. However there is about a minute delay as it connects. Then the car runs for 10 minutes or until you open the door. I love having it though. The app tells me if my doors are unlocked and how much gas I have. Seems like it doesn’t work about once a week especially on the colder days. I’m really not impressed with it and would be disappointed if I had paid for it, aside from the cost of my car. For me, great, the app works great, I started my car (RAV4 2019) from a distance of 25 miles, great! App doesn’t work with a 2018 Prius. So when i use the app to turn it on then go to my car and open my door the engine shuts down. Why??? I’m so confused. Have been a Toyota owner forever, and always loved and still love their car. This app's UI/UX is designed great, and looks spectacular. However - it's functionality is not. I'd recommend the Back-End and API devs take a good hard look at the inxffencies that result in so much lag time and errors. P.S: Remote start is but a gimmick if it turns off the second I open the door. Update: A month later of trying to get this app to work and it still is terrible. Just terrible. Doesn’t do what it’s supposed to. Rarely works. Rarely. Will tell me it’s “unable to process” more than just start my car. It says things like the doors might be unlocked when I have absolutely verified they are locked, the hatch is locked, and the windows are up. It’s faulty to the Nth degree. This poor feature alone will be enough to have me NOT buy a Toyota in the future. First review: This app is supposed to make your life easier. It does the opposite. It’s clunky, temperamental, poorly designed, and given to completely random periods of working correctly vs not working at all. There is no logic to when it does vs when it doesn’t work. It takes forever to do the most basic of tasks. Completely unusable overall. Doesn’t work more than half the time. Says the doors or trunk is open and it won’t start our 2018 Camry XSE. I won’t be paying for another year of this service unless they fix the issues. Frustrating. I didn’t know my vehicle didn’t support this app until I downloaded it. Rather it should because it’s a 2019 SE lol. It would’ve been nice to know this at the dealer or something. I have a 2019 Toyota Avalon limited and this is my first time to use an app to start my car. This app rarely works when I try to start my car at home. When I am out and about it seems to work just fine. I find it to be frustrating and undependable. The app really needs tweaked. Obviously this app could use a lot of modifications. For instance let’s say a parents own the car but there child(ren) are the ones that drive the car. Yes it is useful for the parent to have full access to the car via remote app, but the kids that drive the car should be able to have access to those same features of the app. The parent will be the primary owner of the account and has the power to set those restrictions, and the kids will have the app on their phone as well so they could turn on or off the car if they are getting out of class or work and warm up or cool down the car before they get there. To add to this modification the primary holder of the account can enter the kids phone number/cell Bluetooth I.D. so that the car recognizes who is driving I.e. so the parent knows who is driving. Food for thought Toyota. The features are cool but should also extend to other members of the family so that a parent may also set different boundaries depending who is driving. Also add an on/off switch on notifications so that I won’t be bothered when someone else besides myself Is driving. Really annoying. 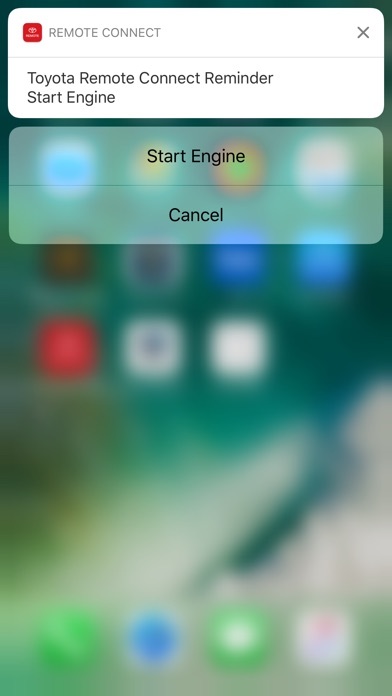 Last but not least, allow certain apps from the phone to mirror on to the dashboard screen. Not cool I can only use scout and not Waze or google. Does not support all 2018 Camrys. I just bought 2018 XSE but the app does not soppier my vehicle. So I tried another car same model thinking it a mistake I was making but it was not because it connected to that vehicle. So my question why doesn’t connect to all 2018 models? I have a 2018 Camry and every time I tried to register it, it says my car is not compatible with the app. Just got a new 2009 RAV4 and remote connect works flawlessly so far! I don’t understand. Does this app actually work for anyone. I can’t get it to do anything, even when I’m sitting inside my car. It just always says cannot process request. App never worked right on my 2018 camray. Hate that the remote start shuts off when you open the door. I waisted $600.00 getting remote start added to my vehicle. Was told it was security, but you can’t get in the car without the fob so that was a lie. Salesman couldn’t get it to work either. I have a 2019 Corolla Hatchback and the app seems to communicate with the vehicle without any hiccups. Starting the car with my phone is neat but I hate that the car shuts off once you get to the car and unlock it. I’m certain this is a safety issue but it’s silly to have to start the vehicle again once it’s already running. Too bad there isn’t an option to change this. I tried this for my 2018 RAV4 xle hybrid, it didn’t register my VIN by saying that feature is not available in my model. My vehicle has automatic transmission with keyless entry. How can I use this remote start or vehicle finder? They want to charge you for this and it is very slow when it works. It only works some of the time. I wish I could give ZERO STARS. I have a 2018 Camry and the app says my car isn’t supported. The dealer sold this app and it doesn’t really work. OnStar is so much better! This app Crassus regularly, and is not even comparable with anything besides Toyota Sedans. I don’t even understand how Toyota can be so far behind on these Technology. This is terrible it takes forever to start a car if no obstacles such as doors aren’t locked Why you do this to us? Won’t connect, boots me out all the time, then can’t log back in. My experience with my Toyota Camry has been disappointing all the way around. Next time I will go back to Nissan. It’s a great idea but it only works about half the time. Not going to keep paying for it if they don’t improve it. Works almost all the time. Like the real time status of my car and where it’s located. Wish the car wouldn’t shut off when you start it from the app. When I had a Jeep Grand Cherokee and it had the same thing the car wouldn’t shut off when you unlock the car and open the door. It would stop if you hit gas, brake, or shift from park. Love the fact you can ask Alexa to start your car! After 3 Attempts at home called Toyota and 6 attempts with and then took to dealer and techs attempted 8 times. Utterly complete failure and doesn’t work. Either bad app or doesn’t work with in avalon.